Even though residential wiring is considered to be safe, with many options of residential wiring which you may chose as per the age of your house. Wiring which gives the complete electric solution to your home was started with Knob & Tube wire. It was used somewhere around 1920 to 1930’s and was working well, but now it is considered to be unsafe. Many insurance companies decline to insure your house, if they find that you still use Knob & Tube wires. It was in 1930’s that steel conduit gained popularity and was normally used in the wiring homes. This method was based o fuse box and was normally used to travel from outbox to out box, from wall outlet to light outlet and to switch outlet. The wire was laid in such a manner so as to reach the desired locations such as switches, lights and receptacles; this method is applicable even today. During 1940’s & 1950’s many houses used spiral steel jacketed cable known as BX, which consisted of jacket with two or three conductors or wires, which were made of either copper or steel. Steel was commonly used in WW2. The introduction BX stage of wiring was introduced by Romex; presently Romex is available as plastic jacketed cable with two or three conductors which are similar to BX. Romex and BX have similar function so that jacket is stripped where it enters the outer box so that the conductors are connected to the switch, light fixture or receptacle from inside the outlet box. Romex is easier and faster to strip which can be done with a simple knife whereas BX requires a special tool that cuts through the steel jacket. Romex which was available in 1940’s had an outer covering of cloth and had oil based substance, it got transformed to various types of outer coverings till 1970, when plastic covering was used which we use even today. I always would consider the type of residential wire which is protected best from critters, nails to be the safest. As per Knob & Tube is considered it no longer is safe. Earlier Romex used a method of stapling of studs and attic joists, this system had great potential danger of short circuit which is the most common cause of electric fire. This is a lesson for those who still have older homes to once again get their wiring rechecked by a professional electrician. It has been seen that in older houses, the kitchen light fixture has burned up the wires. Still in some old kitchens sealed drum type light fixture is used. The maximum load taken by a sealed drum fixture is 60 watts, whereas people use 100 watt bulbs to make kitchen brighter, this makes the fixture hot and the wires start burning. For the safety of your homes, you must check the wiring especially when your house is old, it would be better to seek the services of a professional and licensed electrician to have a complete relook of the entire wiring of your home. Sometimes these electricians give you a report free of charge, but in any case you should not ignore the safety even if you have to spend some dollars for inspection, this will ensure peace of mind and safety for the entire family and your home. Now that you understand the science behind your home wiring, you can now determine if it is possible to hook up a DIY solar power system to supplement your home energy usage. If you need guidance to start your homemade solar power project, check out the Earth4Energy guide my Michael Harvey. The guide comes with a comprehensive PDF with High Definition (HD) instructional videos on how to build a solar panel on a small budget. 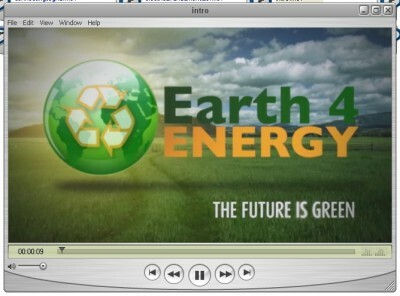 Check out the Earth4Energy review on this blog for more information.